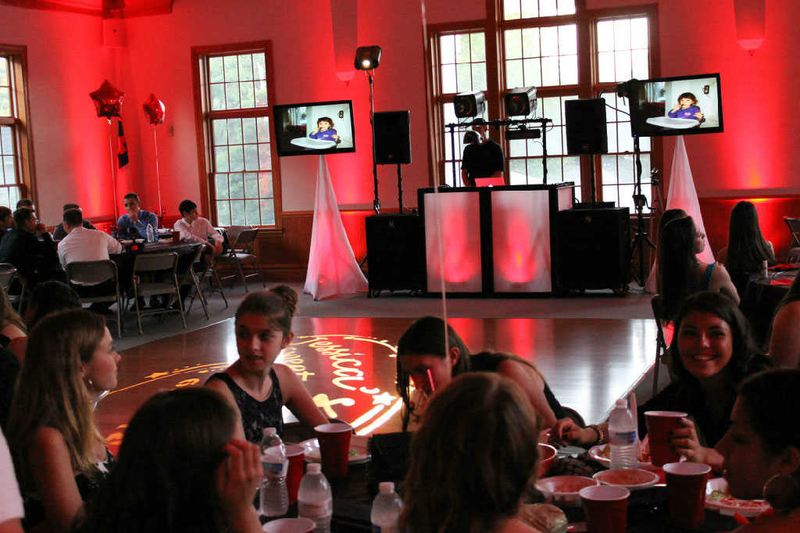 DJs, Photo Booth Rentals and much more for the Hudson Valley Area and beyond! DJ Productions is a family-owned, full-time business run by the husband and wife duo of Tom and Suzan for more than 25 years. When we first met, Tom was in a band and shortly after we married, he quit the band so we could spend more time together. Four years later, our son arrived and Tom decided to DJ on the side so I, Suzan, could be a stay-at-home mom. Two years after he started, instead of taking messages for Tom, I began to tell people what he did and his rates and they began booking their events on the spot! I found my niche and have thoroughly enjoyed every year providing services for truly wonderful people and having a great group working for me. Our talented, experienced team consists of 15-20 Disc Jockeys, Photo Booth Attendants and Lighting Technicians. We are conveniently located on the NY / NJ / PA Tri-State border and travel north to south from Albany to the Jersey Shore and east to west from Western Long Island to all of Northeastern PA.
We work very closely with you ensuring your wedding is one to remember! Ceremonies are performed with your specific selections. No matter what you are planning, your event is as important to us as it is to you! We will make sure your guests have the time of their lives! We have two different types of booths that we currently offer. we offer our white pedestal and our black towers with three different styles. 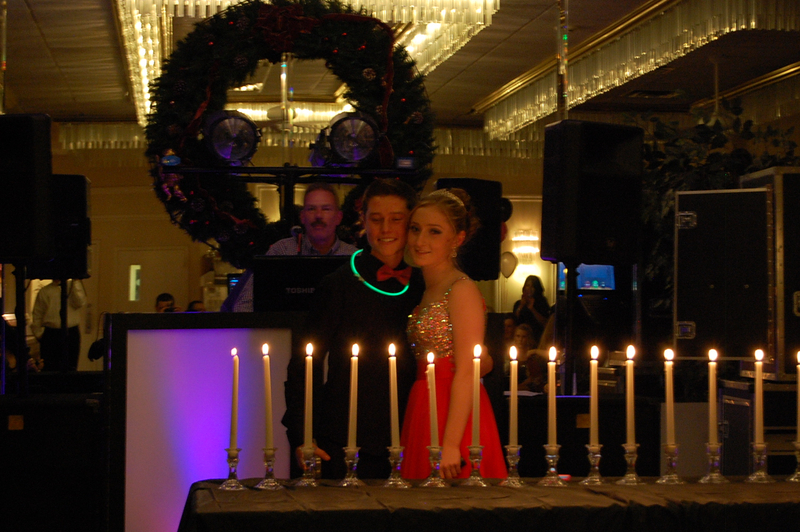 Sweet 16s are a Once-In-A-Lifetime event and we will make sure that yours is one everyone will remember forever. Like a Wedding, they may be Formal, Semi-Formal or Casual. We'll Entertain Your Guests The Way YOU Want! Entertainment is an important part of your event and should not be left to chance. If you’re looking for a Photo Booth, Wedding DJ, Party DJ or entertainment for any type of event, you need look no further. Whether you want background music or a more dynamic presentation, our DJs will deliver exactly what you want. Your DJ provides tasteful dance floor motivation, so all generations feel comfortable getting out on the dance floor. Announcements are made with style. 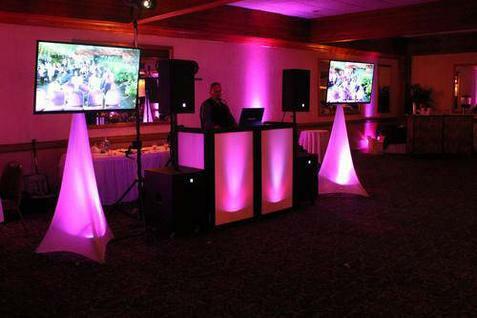 DJ lighting system is included with all packages. 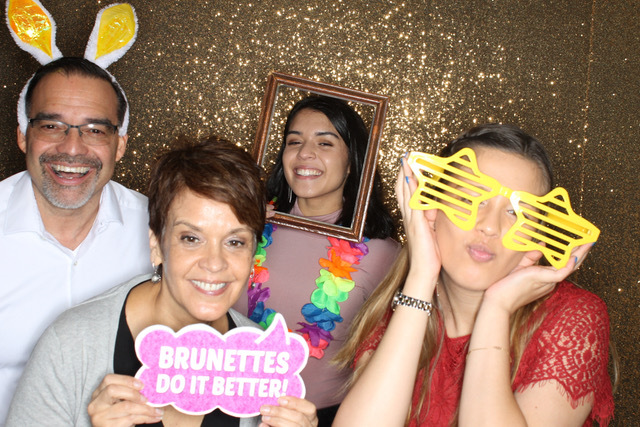 Our Photo Booth Rentals are a HUGE hit at every event! The customized prints will always remind everyone of the wonderful time they had. ​Hire both DJ and Photo Booth and receive a $50 discount!